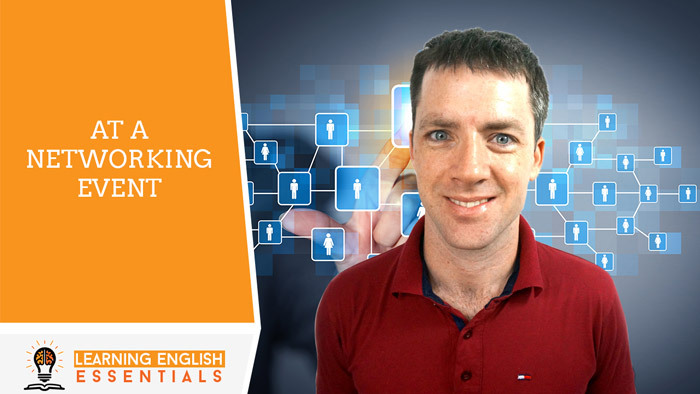 In this video of the English Conversation Topics series, I take you through an English conversation for introducing yourself at a networking event. S: Hi, lovely to meet you. My name is Sara. D: Hi Sara, my name is David. S: What do you do David? D: I am an English teacher. 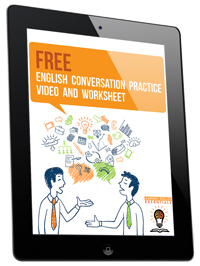 I help my students learn English quickly, easily and without overwhelm. S: That’s really cool. Where do you teach? D: I teach English online. My students are based all around the world. How about you? What do you do? S: I run my own Digital Marketing business and I am a Social Media Strategist. I help small businesses boost their profits by leveraging social media marketing campaigns. D: That sounds interesting. How long have you been doing that for? S: I have been working full time in my business for 4 years. D: What were you doing before your business? S: My background is in marketing. I was working in the corporate sector for about 8 years and then I decided to start my own business. D: How is business going? S: Business is busy right now. There are lots of changes all the time with social media. It keeps us busy. How about you? How is business? D: I’ve just started the online side of teaching recently after working as a teacher for 3 years. There’s lots of work to do. S: Are you enjoying it? D: Yes, I am. It’s an interesting process – starting your own business. Do you have a business card? I’d like to keep in touch. Perhaps I could get your advice on social media campaigns I can run. S: Sure thing. Give me your card as well. I may have clients and friends who would be interested in improving their English. D: It was lovely to meet you, Sara. S: And you David. I will hopefully hear from you soon.